Home tour season has heated up and the DFW Solar Tour this Saturday is the hottest of them all. More than 30 homes and and buildings with solar energy systems will be open to the public across the Dallas area. The self-guided tour organized by the North Texas Renewable Energy Group is part of a larger national grassroots event put on by the American Solar Energy Society that promotes the benefits of sun power. 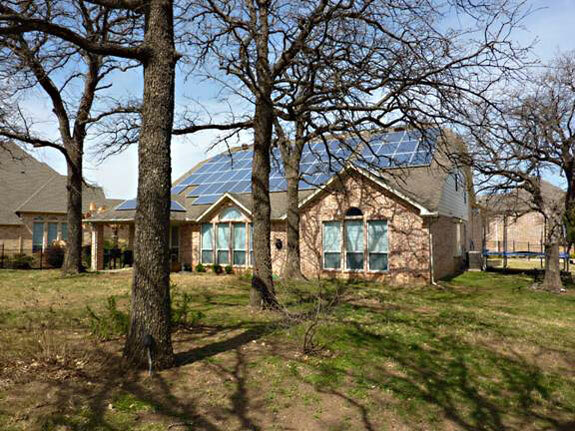 Attendees will see different kinds of solar installations, talk to the homeowners about their experiences, and take a peek at some unique homes in the Dallas area. Program co-coordinator Lissa Magel says this year’s free event is the biggest she’s seen in its four-year existence. Last year’s event drew a little more than 20 homes and about 400 attendees. When it comes to energy trends, solar is sizzling. Globally, it has outpaced all other forms of energy project starts this year. U.S. companies like Solar City, which is chaired by PayPal and Tesla Motor founder Elon Musk, are seeing rapid growth. And locally, Oncor’s solar credits program for 2013 has been drained by North Texas homeowners, including groups like Plano Solar Advocates who have used group purchasing to obtain discounts on residential panels and other equipment. With all the new interest in this oldest of energy sources, many homeowners dream of converting their home to solar for the cost savings and environmental benefits. The process, however, can be daunting. The Solar Tour is a chance for them to meet people who have actually done it and learn from their experiences. Tour participant and electrical engineer Bob Litwins says he “took the plunge” and installed a small solar system on his Plano home in 2009, one of the first in the city. He estimates that he gets about a third of his electric power from the system and, combined with other energy reduction measures, has cut his power use by 45 percent. He placed his home on the tour in 2009 and is back again this year. “It’s great interacting with people when they’re are here and helping them learn about the practical nature of having solar,” he says. The question he gets asked most by visitors is, how much does it cost? He estimates that he would spend about $7,500 for a system similar to his. The cost would be reduced by about half by federal tax credits and energy company incentives. NTREG’s Magel has a few tips for prospective homebuyers who are looking for a house to convert. She suggests they find a property with a southern exposure, preferably in the back yard where rooftop solar panels aren’t noticeable from the street. 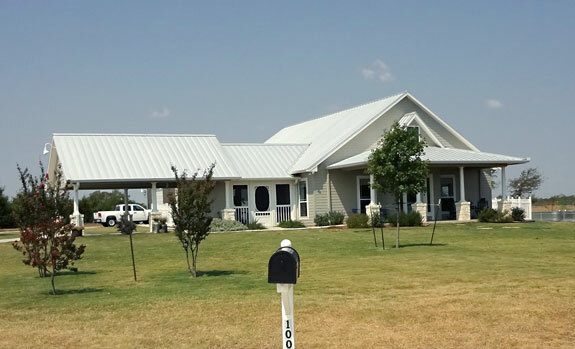 Ranch and prairie-style homes make good candidates, because their low-angle, continuous rooflines take advantage of light for long periods of the day. And buyers should check with the neighborhood’s home owners association to confirm there are no rules that prohibit solar panels. Legally, it is becoming more difficult for associations to ban the panels, but there are holdouts. Before homeowners start a solar conversion, Magel suggests they first take a look at ways they can decrease their current energy consumption. Getting rid of duplicate appliances and convenience gadgets, and using energy efficient lighting may provide enough benefits. If homeowners do decide to go solar, they can design a system that provides a percentage of their total energy and expand it later. To participate in this year’s tour, visit the locations page at DFWSolarTour.org and determine which homes you’d like to visit. Locations are clustered mainly in the northern, western and southern sections of the Dallas area. The website includes photos of each home, the type of solar installations it has, directions, comments from the homeowners, and information on additional alternative energy projects, such as wind turbines and electric cars. Most locations are open from 10 a.m. to 4 p.m. on Saturday, though a few have different hours, so check carefully. The Allen, McKey (pictured), Shine and Smades houses: This cluster of four single family homes on 10 acres in Oak Leaf is the brainchild of four sisters—Connie, Jan, Elaine and Paula. They’ve essentially built their own “green” subdivision. Visitors will see how each incorporated solar into these homes constructed by green building guru Jim Sargent. The Smith House: This is a chance to take a look at a classic piece of Dallas residential architecture while learning about solar. 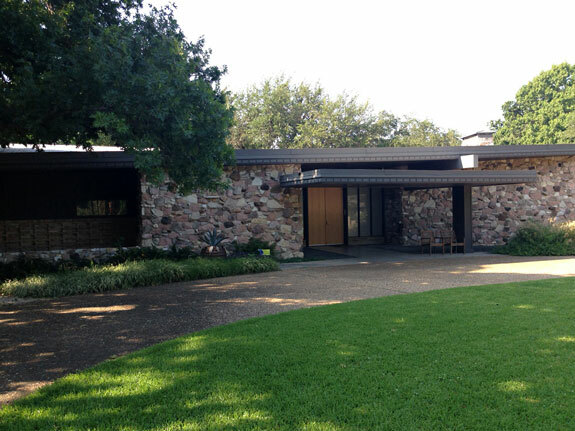 This 1961 mid-century modern Dilbeck was completely renovated in 2008. It has a flat roof that’s tailor made for the home’s passive and active solar systems and the DIY homeowners will be happy to talk about how they did it. The Squyres House: It took three years, but these Flower Mound homeowners have reached net zero—meaning they pay no electricity bill whatsoever. Visitors will learn about how they completed the project in stages. And then take a look at the homeowners hot Tesla electric sports car. 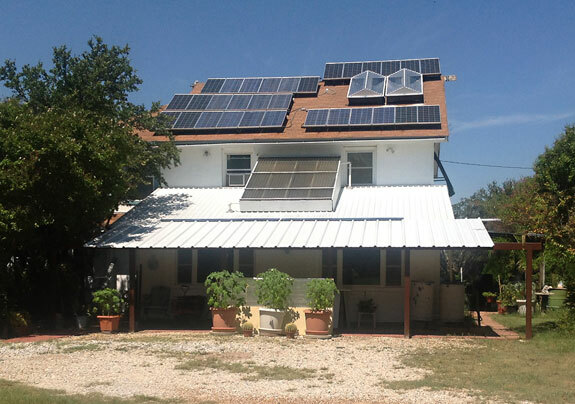 Renner “Off-Grid” House: Weatherford is a hike from Dallas, but it’s worth it to see this homeowner’s effort to reduce his carbon footprint. The home has been completely off the “grid” for 11 months and has a mix of alternative energy features, including solar, wind and rainwater. Marc Lee is a freelance writer and film buff who loves real estate almost as much as Candy herself. He lives in Dallas. Contact him via marc@marcsclips.com.